If Shooting Stars would be of interest to readers of your website or blog, you can become an affiliate and earn a generous 40% commission on all copies sold to your readers. Please 'Contact Phil' and we can also arrange a discount code for direct marketing to your audience. 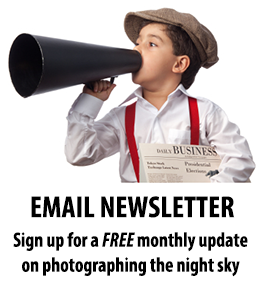 Photographic clubs and astronomical societies could use it as a fundraiser. Your members get a great resource to help expand their photographic skills and 40% of the proceeds are returned to the club. Thanks for your interest in helping to spread the news about 'Shooting Stars'! Sign-up for free 'Affiliate' membership with e-junkie. Join the Shooting Stars affiliate program at e-junkie here or visit the product page and click the affiliate link at the bottom of the page. Choose 'Affiliate Admin' from the menu, then 'Get Affiliate Code'. Select 'Phil Hart' from the drop-down box and then click the button for 'Get Affiliate Code'. Under the heading 'Get Product Specific Affiliate Code', choose 'Shooting Stars eBook' and click the 'Get Affiliate Code' button. Copy the 'Hop Link' code and link it to some text on your page or use one of the banner ads below. Make sure you have entered your PayPal address in 'Affiliate Admin > Edit Profile'. There is more information on the e-junkie page 'Help for Affiliates'. Clicking the Hop Link on your site sets a cookie in the buyer's browser which lasts for 6 months, and redirects them to the Shooting Stars sales page. 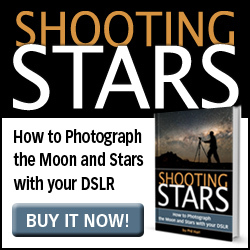 Any purchase of Shooting Stars made within six months will earn you a commission, even if they visit my site directly later without clicking through your link again. Commission is paid monthly via PayPal to your account. Darren Rowse at ProBlogger also has tips for using affiliate programs on your website. You are welcome to use any of these ad graphics on your site, which you can hot link with your Hop code obtained from the e-junkie site above.